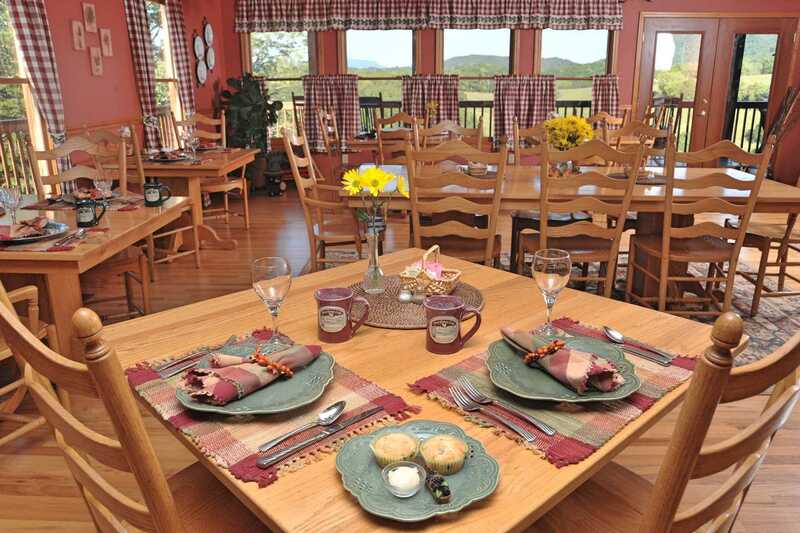 For a relaxing mountain retreat, head to Berry Springs Lodge in Sevierville, TN. 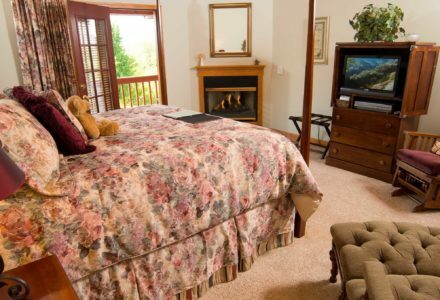 Great for couples, friends, families, and business travelers, our Smoky Mountains bed & breakfast offers first-class service. 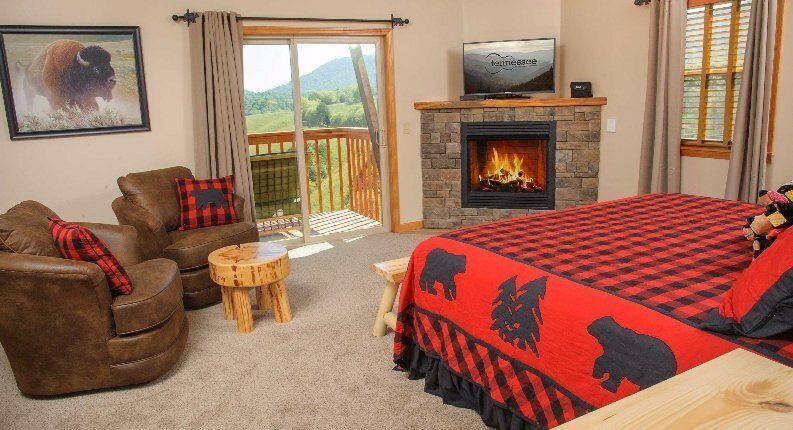 We offer 11 luxurious rooms & suites, many with fireplaces, hot tubs, and mountain views. 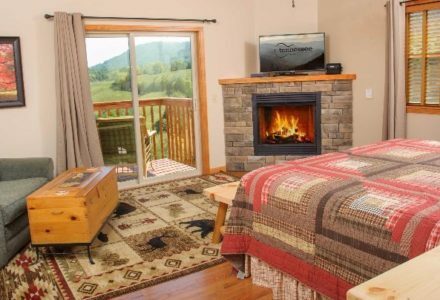 Local attractions include the Great Smoky Mountains National Park, hiking, horseback riding, and outlet shopping. 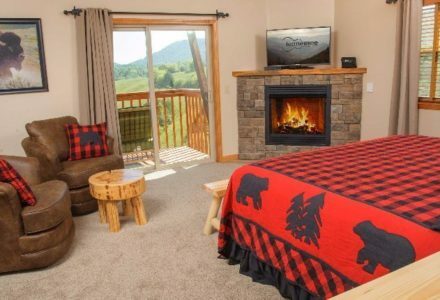 This woodland hideaway exudes rustic charm with 11 rooms & suites, many with hot tubs, private balconies, and fireplaces. Enjoy bountiful country breakfasts each morning, and end your evenings with a nightly selection of complimentary gourmet desserts. Our mountainside retreat is home to a bass and catfish pond for guests to enjoy fishing or canoeing. We also have a mountain trail & loop perfect for an afternoon of biking or hiking. 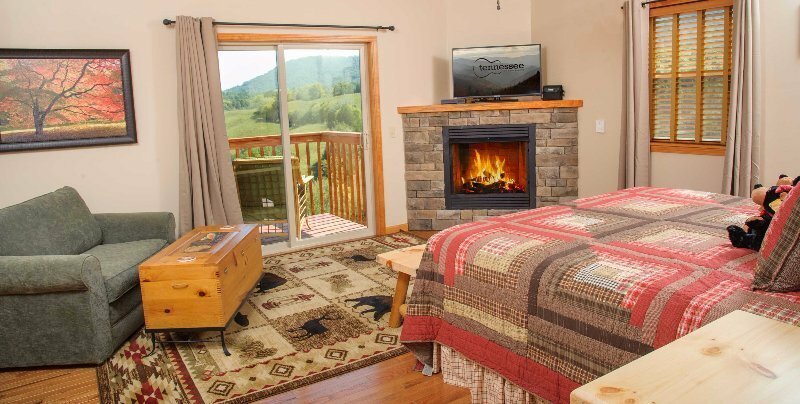 Enjoy breathtaking sunsets over the rolling hills of the Smoky Mountains from our porch.